During the month of May, many of us celebrated the 63rd anniversary of the Brown vs. Board of Education decision. 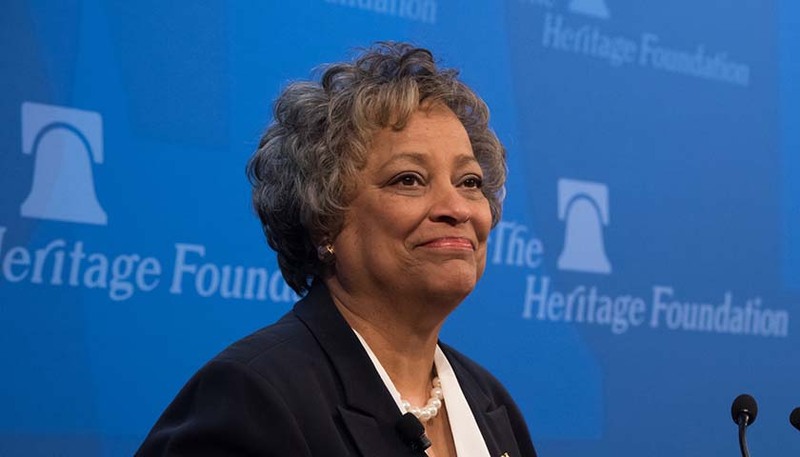 The unanimous 1954 ruling by the United States Supreme Court declared that “separate educational facilities are inherently unequal.” Last week, the National Newspaper Publishers Association partnered with the Thurgood Marshall Center for Service and Heritage for a special tribute to the first African American Supreme Court Justice. We also reflected on the significance of an improved national education law. The preservation of Thurgood Marshall’s legacy is dependent upon our dedication to our children. High poverty school districts are often overwhelmed by the external consequences of poverty that distract students from learning and prevent effective classroom instruction. Chronic absenteeism, poor nutrition, and various forms of abuse, are a few of the challenges facing high poverty school districts. Although, in-school psychological and academic resources cannot eliminate these challenges completely, they do help to mitigate their effects. Yet, many of these programs are routinely underfunded. So, on the 63rd anniversary of the landmark decision to integrate educational institutions in the United States, we ask ourselves the question, “How far have we come?” We struggled to be allowed to get an education. We fought to have equal access to quality education. We endured forced integration, only to be placed at the back of the classroom and ignored. The Every Student Succeeds Act attempts (ESSA) to fulfill the promise of a high-quality education for all of our children. ESSA advocates for qualified teachers, high standards, a robust programs, and assessments, which inform classroom instruction. The law, which was passed during the Obama Administration, also returns some responsibilities to create innovative and equitable educational policies back to Local Education Agencies (LEA). So, yes, we acknowledge that a single law won’t solve all of the challenges facing our community, but we still have a duty to continue the fight for equity in education for the benefit of our children, especially poor students and students of color. The key to the success of this education law rest in the hands of parents and communities across the nation. Dr. Elizabeth Primas is an educator, who spent more than 40 years working towards improving education for children of diverse ethnicities and backgrounds. Dr. Primas is the program manager for the NNPA’s Every Student Succeeds Act Media Campaign. Follow Dr. Primas on Twitter @elizabethprimas.